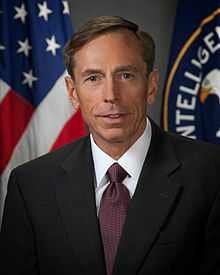 President-elect Donald Trump’s choice of Gen. David Petraeus to be the secretary of state has drawn criticism from within the FBI. Trump relentlessly attacked the FBI for failing to prosecute Hillary Clinton for using a private email server. But ironically, Trump wants to appoint Petraeus, who was charged after he confessed to handling classified material to his mistress and biographer. He resigned in 2012. “It should and will rankle anyone who is objective and who works with classified info,” Ellen Glasser, a 24-year FBI veteran who now teaches criminology at the University of North Florida, told the Hill. “Notwithstanding his past decorated service, serving in the Cabinet is a privilege that should not be afforded to someone whose security clearance was yanked and who could not get another one the normal way,” she added. Federal prosecutors said Petraeus intentionally mislead authorities during the investigation. “One of the issues that many at the FBI would have would be less the classification violations than the alleged lying to the FBI during the investigation,” said Michael German, a former FBI agent who is now a fellow at the Brennan Center for Justice. Posted: 12/7/16 at 11:11 AM under News Story.